So, you’ve picked out the perfect throw pillows and now are totally lost on how to style them? Don’t worry – it happens to the best of us. 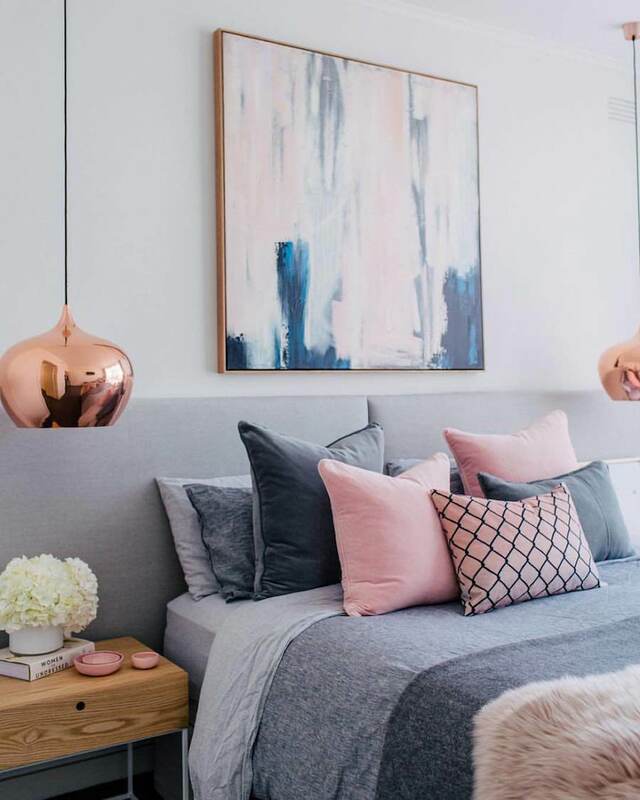 Instead of just carelessly tossing them on the bed or sofa, here’s a quick guide to styling throw pillows properly in a few different ways. Some designers will recommend against throwing matching pillows on a sofa. Some even advise to ensure you always have an odd number of pillows, but honestly I think the matching pillows can work in certain homes. Below, the four matching pillows make the room look really polished and buttoned up. Use it in a formal living space for sure! 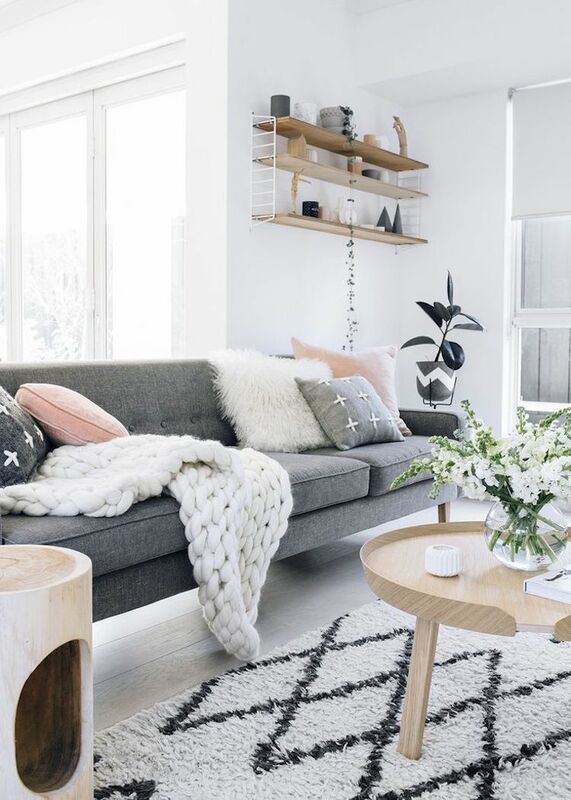 Perhaps the easiest to introduce into your space, an eclectic arrangement of pillows means you take a mix of textured, patterned, and solid colored pillows and throw them on the sofa in a coordinated way. I would recommend an odd number of pillows for this arrangement. Pattern and solid is a great way to bring a personal touch to an otherwise minimal living space. I love adding a pop of pattern to a solid colored sofa. It really draws the eye in! Blankets instantly make any couch or bed more inviting… Drape them over the edge of the bed, or casually next to your decorative pillows. Your guests will have a hard time resisting the urge to wrap themselves up! The lone pillow is a great way to have a focal piece on your bed or couch. You can choose a colored pillow to stand out against minimal fabrics, or choose a patterned one to stand out against colored fabrics. Be sure to tie in the color with an existing piece of decor in your room. 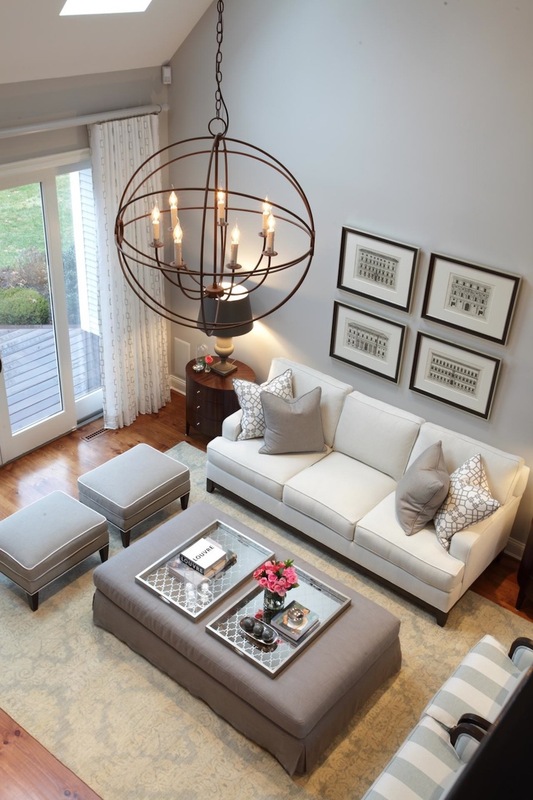 Mixed textures are a great way to add some depth to your space. You can tie them in with solid colors or go for a bright pattern. Some examples include fur pillows, knit pillows, and patterned pillows. 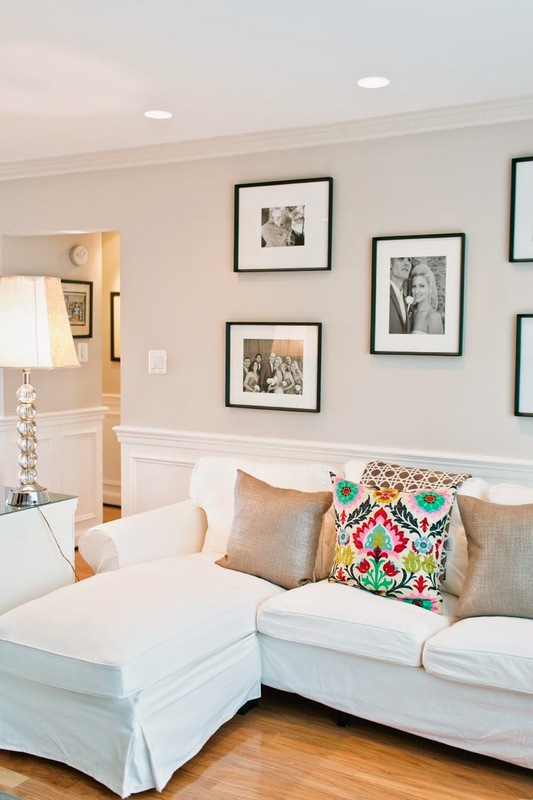 How do you style your decorative throw pillows at home?